I don’t even really know where to start when trying to describe F7LTHY. It has made a bit of a mark in the automotive scene since last Summer. Many friends and fans may not even know that I created it. After all, I’m not a designer, I’m a doctor; I shouldn’t really have a place in this creative automotive modding scene right? Before my LibertyWalkGTR build went viral in 2014, I was very active in the local R35 GTR community in Vancouver. We were into modifications of all sorts, mostly building our cars to have full bolt-on mods and some of us doing Flex-Fuel ethanol conversions. We would go on cruises to Washington state (before BC started selling E85) and visit ethanol stations and load our tanks and trunks with jerry cans full of it. On one of these trips, this time to Arlington WA, a group of R35 and exotic car owners were filling up at an E85 station and as we were walking out to our cars we were met by a group of guys. One of them said, “ Man, your cars are straight FILTHY!” We all had a big laugh and chatted for a while. I told those guys that I was going to steal that saying. So F7LTHY definitely represents the cars, but in a greater sense it represents an attitude I have about life in general. Most of my life I was raised and trained in environments that necessitated a clean, sterile approach. In the scientific and medical world that comprises my background, following rules and algorithms were important goals. Perfection was sought constantly. To me, F7LTHY represents the artisitic, creative side of life. It celebrates the imperfect, thinking well beyond the rules and constraints often placed upon us. 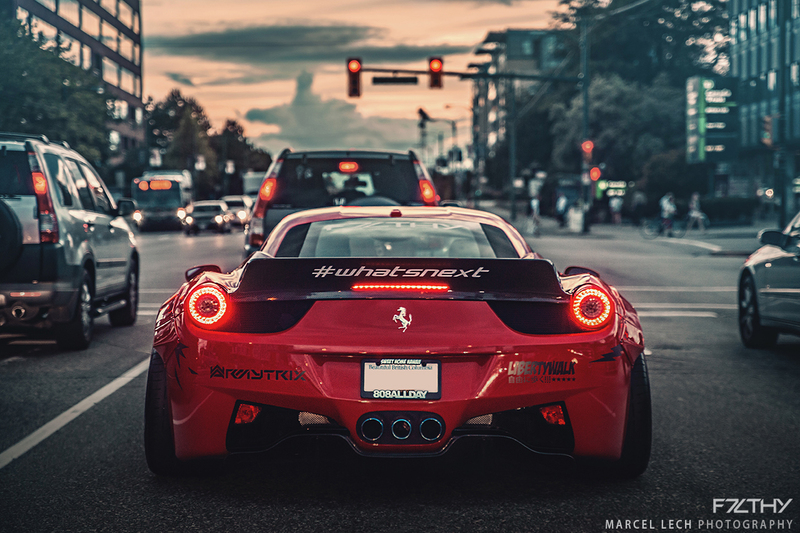 For example, a stock Ferrari 458 may be a very identifiable symbol of perfection. It is clean and perfect. Many owners would not modify it one bit. They would wash it, wax it, and admire it just as it was intended from the factory. There’s nothing wrong with that. Now, try to wander into our scene… we want to personalize our rides, modify it, stance it, widebody it, customize it, make it F7LTHY. The people who get up close and appreciate the overall quality and design of my projects will tend to understand the meaning behind F7LTHY. It is such an extreme term, and in our case there is an inherent duality to it. Yes our cars are clean in terms of build quality and precision, but they are also F7LTHY in terms of design and breaking purist rules. As a result, I feel as though the projects I do tend to echo that feeling of balance which I think is important in most everything we do. Work and Play. Learn and Teach. Dream and Build. Clean and F7LTHY. People began taking notice of F7LTHY on my instagram and FB accounts as my friends and I made some decals and began slapping them on our windshields and bumpers. Then things just took off. I had a lot of requests for decals and shirts with the F7LTHY logo. I learned some tough lessons along the way as well. I began trusting outsiders who wanted to create a brand and move it into different directions. I almost gave up on F7LTHY at that time and had to clean house and let some deep wounds heal. Thankfully the love and support continued and now I have moved decal operations back to my garage to have great quality control and customizability for my friends and clubs/fans. Next up will likely be taking shirts and hats out of mass production and keep things in-house and customizable. Look for that in future months. Regarding members, the F7LTHY crew continues to grow locally and around the world. We regularly have cruises and meet ups around Vancouver and Seattle. New rides always joining up and rocking the F7LTHY banner. USA and Canada are my most frequent requests but I’ve shipped out banners to all sorts of places like Australia, many countries in Europe and Asia, India, South Africa, Caribbean, PuertoRico, the list goes on. The build projects keep coming as well. I started helping with a LibertyWalk Maserati GT MC Stradale build in the beginning of 2016. However due to some regrettably difficult issues with those involved in that build, I am no longer involved in helping with that project. I’ll be focusing instead on my 2017 NSX I’ve got on order and we are awaiting that car for measurements and finalization of design for that undoubtedly outrageous kit. It’s been a bit of a waiting game with Acura so far, but as a Doc I can assure you life’s too short and I’m not going to be standing around waiting for anything! I’m also super excited to announce my plans for an RWB 993 Porsche build with Akira Nakai. Look for that in 2017!!! The Summer of 2015 proved to be an interesting one in my area of the world. 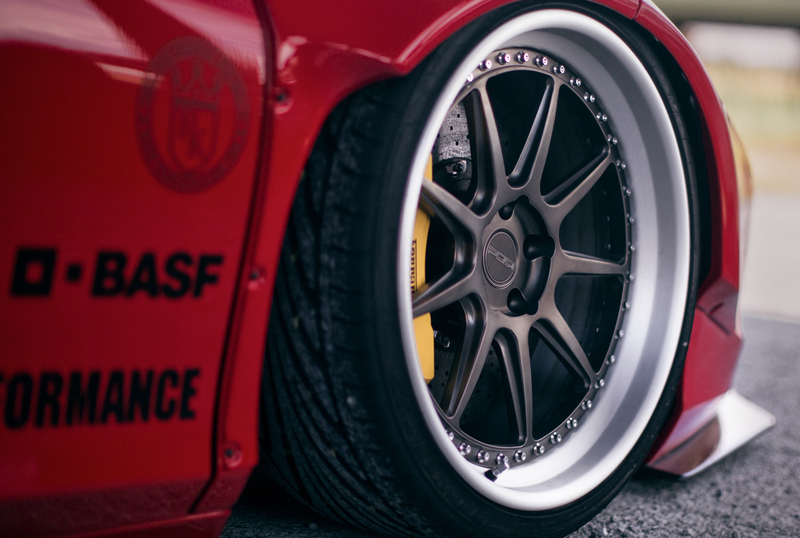 Great events took place across the board in terms of shows in the automotive scene here. The Pacific Northwest is cultivating a strong foundation of enthusiasts as I have found out through these events. Many enthusiasts came out of the garages and various hiding places to attend such shows as Nissanfest, Hot Import Nights, Formula Drift, StanceWars, and the Luxury&Supercar Weekend. I was happy to see familiar faces that came out to the shows. I was fortunate to meet many new friends along the way. One of the memories that stood out for me was my voyage to Stancewars 2015. The annual show in Bellevue was a show I had been looking forward to attend since the previous year. It was such a fun show in 2014 and I met a ton of like-minded car freaks and saw some of the sickest, filthiest stanced rides in my life. I couldn’t wait to bring my cars out there and share stories with all the friends I knew were going to be there. As the crew left my home in Vancouver, we rolled onto Highway 99 which is the Canadian equivalent and direct link to Interstate 5 in the USA. 10 minutes into our trip my front passenger tire blew on the Ferrari and it forced me to make a quick maneuver to the right shoulder of the highway. I was so glad there were not any cars in the lane next to me as it would have surely led to a terrible crash. Once pulled over I was able to assess the situation and get some help. The front tire was literally torn into two lengthwise with the bead intact on both inner and outer rims. Tony Vergata from Clover Towing came to our rescue when no other tow companies were equipped with a flatbed on that busy Saturday afternoon. 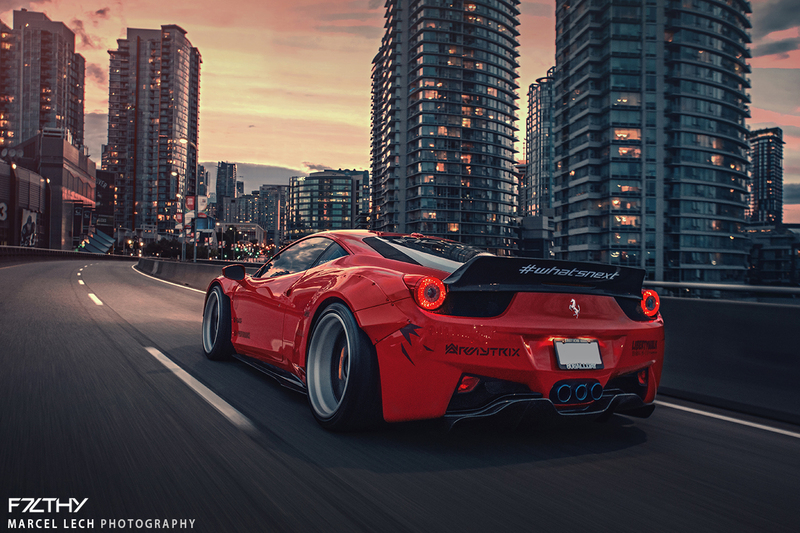 He loaded up the Ferrari. Calls started streaming in on my cell as friends on social media spotted our crew stranded on the highway. One of our great friends Brian Wong (owner of Europa Auto Design) contacted SR Auto Group and arranged for us to deliver the car there for further assessment and repair of the flat. The tow into Richmond where SR was located gave me an opportunity to chat with Tony and find out more about his love for cars and the greatest love of his life, his child who suffers from chronic medical issues. The time sort of stood still as I learned about Tony and his life. It reminded me of the hardships we are often faced with through life, and how we push forward without question when it comes to our loved ones. The drive with Tony and the conversation we shared gave me a healthy dose of perspective that afternoon. I offered a hand to him in terms of medical advice, little did I know that he ended up helping me even more by allowing me to introspect and reconnect with my thoughts that day. It was closing time for the service shop at SR Auto Group once we arrived but Ray Moradoghli and Benno Arzo stayed after hours to provide solutions. I mentioned to them that the wheels were recently taken apart and reassembled for painting of the outer rims. It became obvious that after placing new tires back onto the rims and soap testing the bolts on the rim that improper tightening/reassembly was the culprit. The slow leak evident from the improperly fastened bolts turned into a catastrophic failure on the highway. StanceWars attendance with the Ferrari was starting to dissolve like the soap suds on the wheel. Ray stepped up to me and offered an unbelievable solution. He pointed to one of the display walls at SR Auto and asked me if I liked PUR Wheels and to choose a wheel design that I liked. 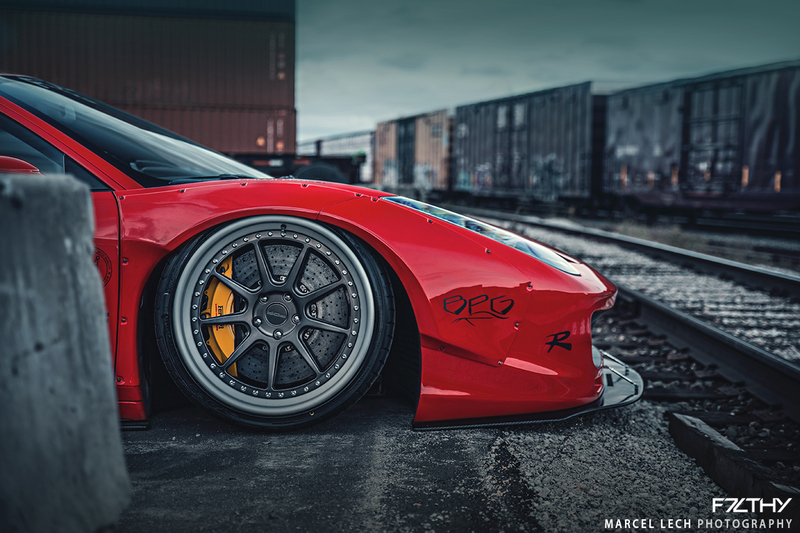 He said that he has spec built PUR 3-piece wheels made, in stock, with libertywalk 458 fitment! 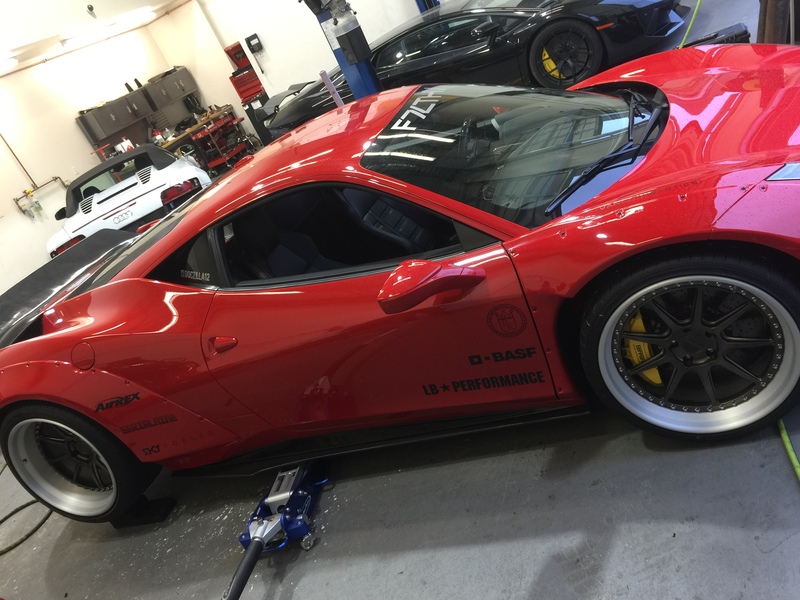 He also offered them fully mounted with new tires and installed on the 458 ready to roll so we could get to Seattle ASAP. Ray knew that I value my local auto scene and he knew how much I loved StanceWars –he did not miss a beat in knowing what I needed and how to get me back on the street. SR Auto Group extended a huge hand to me on my very first encounter with them. It is times like that, when fellow car enthusiasts see the bigger picture and help other enthusiasts reach their goals. It ended up being a funny thing, so many people noticed and loved the PUR Wheels. 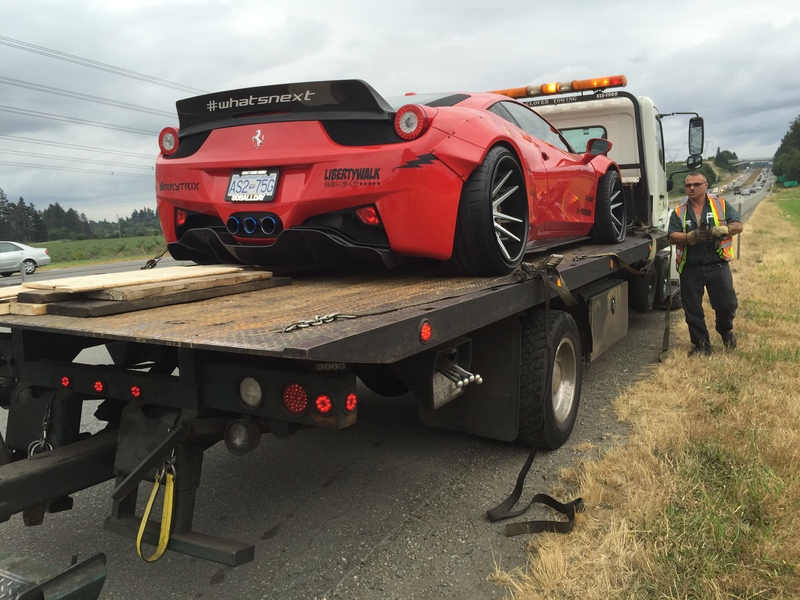 The next day, photos began hitting the web and spreading quickly, droves of comments came in about the Ferrari. I kept the wheels on all summer long! It was about 2 years ago that I first met Marcel Lech. We both happened to be at a local car meet in Vancouver. He had, and still owns, a gorgeous fully modded Supra that caught my eye at the show. I made it a point to tell him how much I loved his build. He quietly thanked me; our first conversation was short. I didn’t know much about Marcel at the time. My GTR was pretty stock looking on the outside as I was focused on performance mods and audio primarily. Still, Marcel took note and asked me if I had any plans for the car. 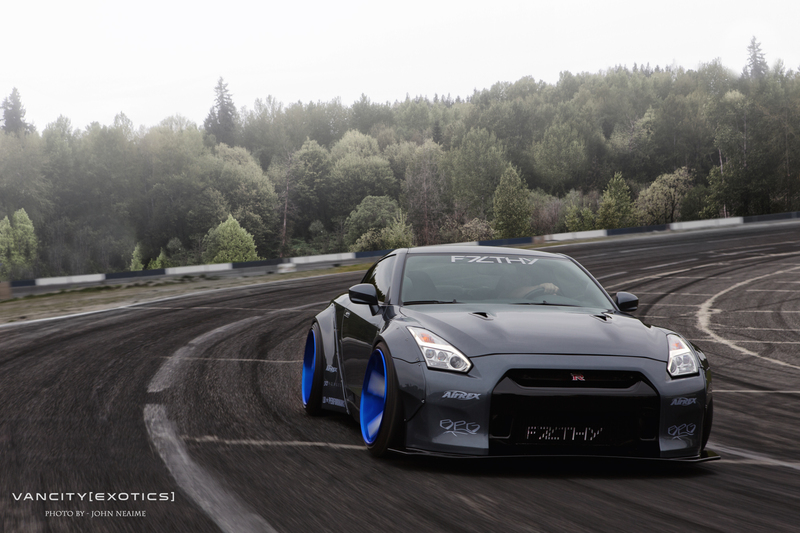 I mentioned to him that I was going to do a LibertyWalk GTR build and bring the car to a showcar level. That night, him and I laid down the plans for an epic shoot of the car once the LibertyWalk kit was installed. I learned later on in the week that Marcel was closing in on nearly 2 million followers on Facebook and his portfolio was astounding. Some of you may recall the first photoshoot that Marcel and I did together for #PASMAG last Summer. The photos from that shoot were leaked early on DuPont Registry and they went absolutely viral. PASMAG was quick to make good of a potential catastrophe and embraced the power of the internet to yield one of their best selling issues of all time. The GTR photos eventually grabbed the attention of LibertyWalk founder Kato Wataru and resulted in forging a wonderful friendship between Japan and Canada. The subsequent appearance of my GTR at SEMA 2014 in the DUB Booth will go down as one of my greatest automotive memories. The second time I collaborated with Marcel and the GTR also resulted in a set of photos that went viral too. His focus soon became locked on my Ferrari 458 LibertyWalk build. World class photography was the result, as you can see from the shots on his webpages and Facebook: Marcel Lech Photography. Stay tuned for a F7LTHY LibertyWalk shoot including the new Porsche 997, Challenger, and Aventador kits from the great team at #SRAutoGroup. 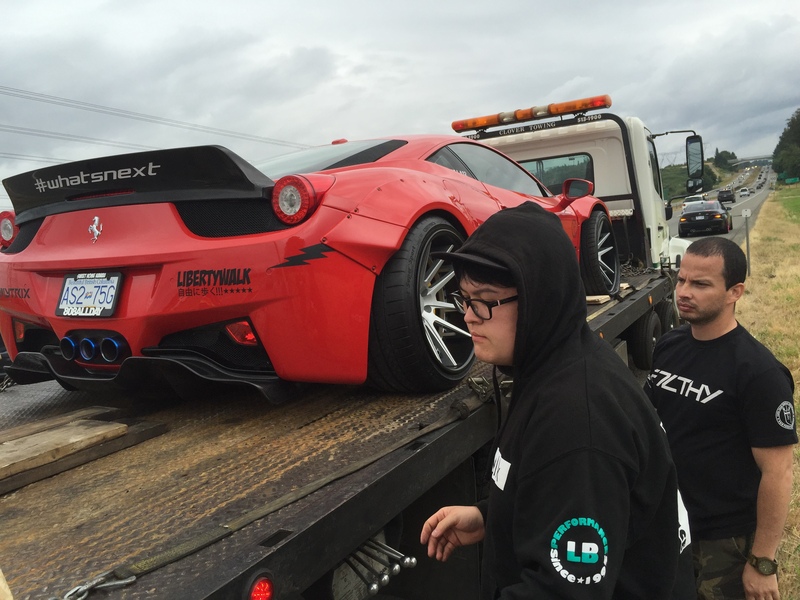 Amongst those under the lens will be one of my friend’s rides, a gorgeous LibertyWalk 458 Spyder. Not to be missed. Come check out our rides and meet the F7LTHY Crew at STANCEWARS 2015 in Seattle (July/11/2015). We are very excited to show the enthusiasts of the PNW our all new line up for 2015. Look for us at the Phantasy Kolors X F7LTHY booth! The F7LTHY team would like to thank you for your support! Stay tuned for all new content! Forge your own direction with that F7LTHY mentality and keep chasing those dreams. © 2019 F7LTHY. All rights reserved.